In the Summer of 2000, Surfari Surf School was formed by a former San Diego lifeguard. The goal of Surfari Surf is to provide the best value in Mission Beach San Diego for surf lessons, surf tours, and surf rentals. What separates Surfari Surf School from the rest is the location, experience, great customer service, and price! Our surf school is located in Mission Beach and equipped with complementary lockers and restrooms. Behind all great schools are talented and experienced instructors! Surfari Surf School’s instructors are veteran surfers with decades of surfing experience. They have all spent many years ocean-lifeguarding here in the Greater San Diego Area. Therefore, they are all Red Cross certified in CPR and trained in Ocean Rescue and First Aid. 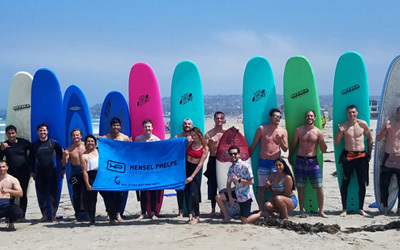 All of Surfari’s instructors attend a surfing instructor safety class taught by off duty ocean lifeguards, to keep their certifications current. Surfari Surf School’s instructors love to teach and always have students’ best interests at heart. Their mission is to offer the best surf lessons, surf tours, and surf rentals possible! Surfari has already taught thousands of students how to surf or improve their skills over the last decade. 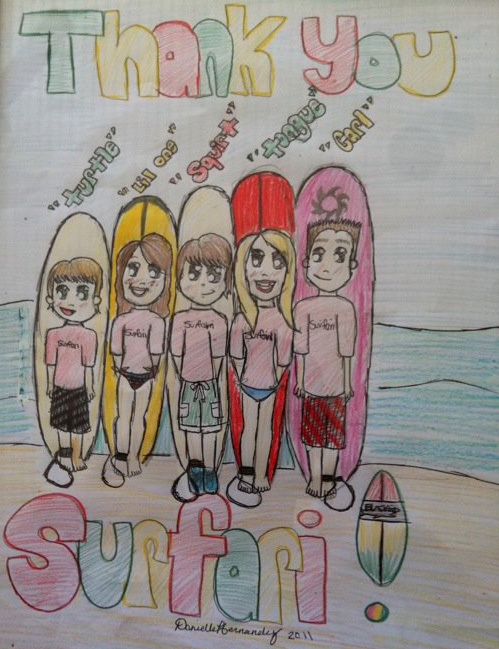 This is a thank you testimonial created by a former student who wanted to express their satisfaction from a good time had at Surfari Summer Surf Camp in their own special way. We love this so much because it reminds us of how much of an influence surfing can be in people’s lives. So much so that it’s therapeutic! The mission at Surfari Surf School is to offer the very best Surf Lessons, Surf Tours, Stand Up Paddle Board (SUP) and Surfboard Rentals possible. You can learn to surf with one of our qualified surf instructors or rent a surfboard or paddleboard for your own use. 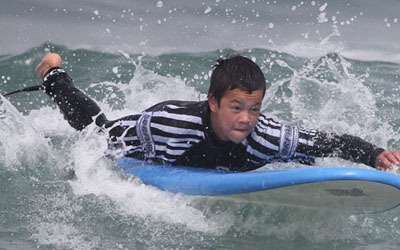 Surfari Surf School is conveniently located in between the beach and Mission Bay in San Diego, CA. Stop by our location or give us a call and discover your Surfari adventure today! Join a Surfari Surf Tour in San Diego and catch the best waves. Our 3 to 1 student to instructor ratio is perfect for learning to surf with others!